Home > Blog > Insurance > Homeowner’s Insurance vs. Renter’s Insurance: What’s the Difference? When you think about the difference between homeowner’s insurance and renter’s insurance, chances are you think that they are more or less the same, but one is for someone who owns the home and one is for someone who rents the home. While you would be right that they do appeal to people with different living situations, they actually don’t cover the same things. In most of the cases, laws and regulations on these two insurance types can vary depending on your state and city, so it is highly recommended to research your local agents’ lists and their offers; but let’s also go over a few of the major differences between homeowner’s insurance and renter’s insurance. By getting homeowner’s insurance, your main priority is to rebuild the home in the event that it is lost. 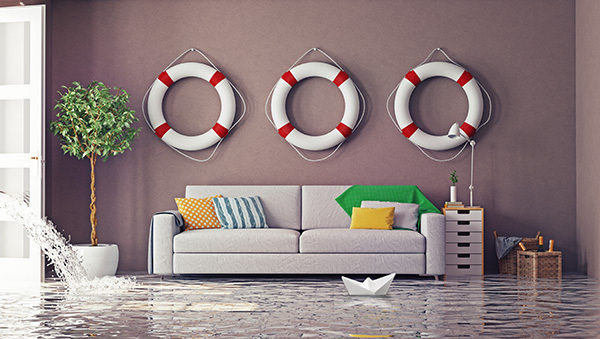 If your house suffers from a fire, flood, or other disaster, your homeowner’s insurance would help you make repairs or completely rebuild a home, if necessary. The amount of coverage that you have for your homeowner’s insurance is reflective in how much it may cost you to replace your entire home. It is also reflective of what your house is worth and how prone it is to being damaged in the event of a disaster. This means if your house is cheaply made, made from highly flammable materials, or is known for sustaining water damage, you may not have as much coverage. The size of your home can also contribute to how much homeowner’s insurance you may need. The bigger the house, the more expensive it may be to replace the structure. The home that you own has caught on fire. While you and your family got out of the home without any problems, there is damage to the structure of the building. You don’t need to replace your entire home, but you do need some help from the insurance company in repairing the structure. In this situation, you will want a good homeowner’s insurance policy. This policy will help you cover the structure of the house that was burnt. 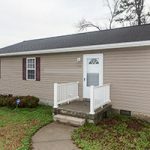 Unlike homeowner’s insurance, renter’s insurance doesn’t consider the structure of the house but rather what is inside. If the house is damaged, the owner of a renter’s insurance policy will not get a sum of money for repairing the structure of the house. Instead, they may get assistance for replacing damaged items or possessions. Renter’s insurance is always a good idea for anyone in need of financial protection. Renter’s insurance can also be relatively cheap, much cheaper than homeowner’s insurance. If you are renting, remember that your items and property are your own responsibility. Even with your landlord’s homeowner’s insurance, it doesn’t mean that your belongings are covered in an event. Going back to the example we used before, consider if you were renting the home instead. While the same damage is done, you aren’t necessary concerned with paying the damage to the structure of the house, you just want coverage for your items that were lost. In this situation, the owner of the home would receive compensation from their own insurance policy to make the repairs to the home while you would receive compensation from your separate renter’s insurance policy to replace your damaged items. When selecting an insurance policy, you want to ensure you are purchasing the right insurance that properly covers your items. It’s recommended to consider the possibilities of damage in your area and what kinds of extra coverage may be necessary for you before purchasing renter’s insurance. About the Author: Michael Rogers- is experienced manager and educator from USInsuranceAgents.com. With more than 5 years of professional experience in the insurance industry, he successfully fulfills the Director of Operations’ position.